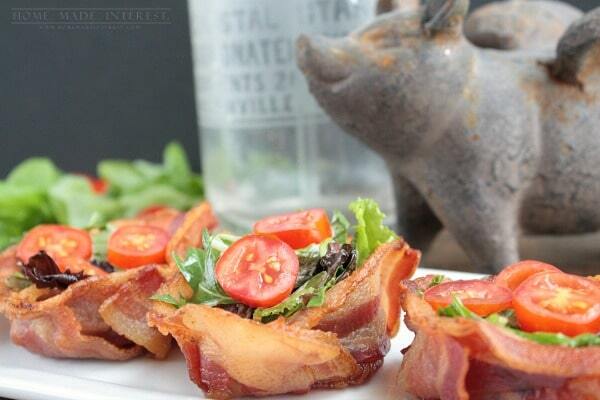 BLT Bacon Cups - Home. Made. Interest. 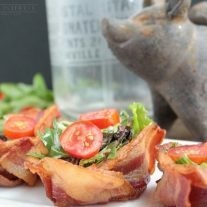 These BLT Bacon Cups are the perfect low carb, gluten free, and completely amazing recipe for an appetizer, lunch, or dinner! It was our turn to pick this month’s ingredient and you know what we love…BACON! We can’t get enough of it, so for the second time this week we are sharing a BLT recipe that is going to blow your mind. 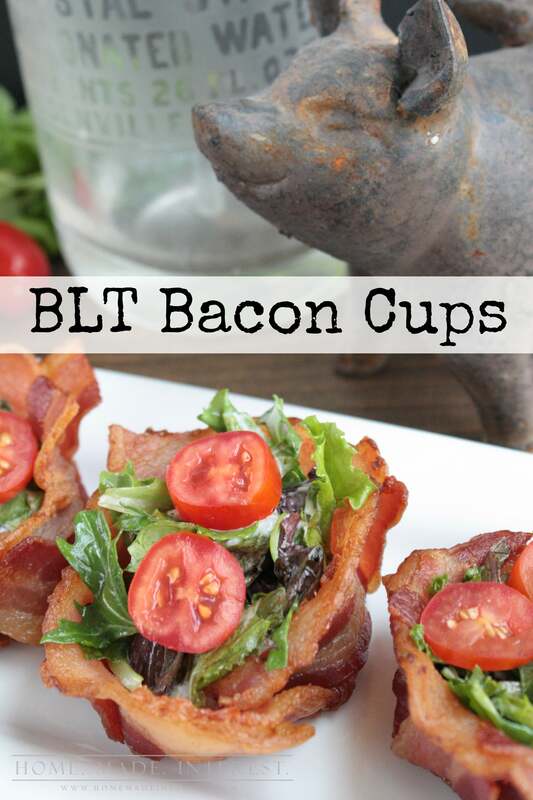 Now don’t get me wrong, those BLT bites were good…really good…but today we’ve got bacon cups! 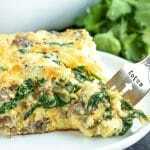 This recipe is low carb, gluten free, and filled with awesome. Step 1 is making a miniature bacon weave (see Melinda’s tutorial) that will form your cup. Flip a regular size muffin tin over on a baking sheet (the baking sheet will catch the bacon grease). Some people line the muffing tin with aluminum foil, but in my experience it is just as much of a clean-up with it as without so I skip that part. You will need 3 pieces of bacon for each cup. Cut 2 bacon strips in half. Lay two of the pieces up and down over a the muffin tin. Then weave two pieces through from left to right. The last piece of bacon (still whole) wraps around the outside weaving under and over each of the existing pieces. I know it sounds complicated but it isn’t, I promise! Don’t expect to make a weave for each muffin tin, I usually leave an empty one in between each bacon cup so they don’t touch each other. Place the backing sheet in the oven and cook for about 15-20 minutes, or until the bacon is cooked to your liking. Let the cups cool before removing them. You can make the bacon cups ahead of time. Just cook them a day or two before and when you are ready to use them place them on a baking sheet and cook them in a 350°F oven for 10 minutes to warm them before proceeding with the rest of the recipe. Then you just chop up some lettuce, toss it with mayo, and fill the bacon cups with your salad. 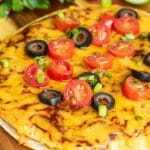 Top it with slices of grape tomatoes and you have an impressive appetizer or a super awesome lunch. I’ve made these for brunch more than once. 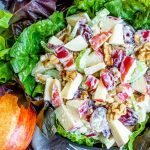 They are way better than the usual boring salad option! A delicious BLT salad served in a bowl made out of bacon! For each bacon cup cut two strips of bacon in half and leave 1 strip whole. Flip a regular size muffin tin over on a baking sheet. Lay two of the 1/2 strips of bacon up and down over one of the muffin tins. Weave two strips of bacon from left to right through the vertical pieces. Weave the whole strip of bacon around the outside, weaving under and over each of the existing pieces. 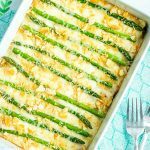 Place baking sheet in oven and bake for 20-25 minutes or until bacon is cooked the way you like it. Let bacon cool on muffin tins before removing. Chop up salad mix and toss it with 3-5 Tbsp of mayo, depending on your preference. 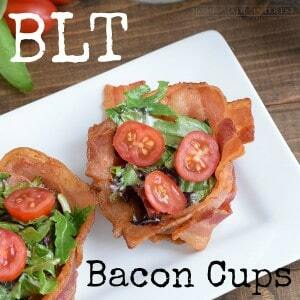 Add dressed salad mix to the bacon cups and top with grape tomato slices. **Note: The bacon cups can be made ahead of time. Cook the bacon cups a day or two before and when you are ready to use them place them on a baking sheet and cook them in a 350°F oven for 10 minutes to warm them. I’m cracking up at the picture with the pig in it, too funny! I love how you used bacon in such a creative and delicious way 🙂 Pinned and sharing on Facebook later today!! I love my little flying pig! A cup of bacon. I think I’ve died and gone to heaven! Will definitely be using those babies in lots of different ways! Pinning! These look delicious, Kat! Mmm! What a neat idea… Craving some bacon now 🙂 Have a great weekend! Yum! I’m thinking of adding a drop or two of balsamic reduction to the mix and i’ll be in heaven. Not only do these look delicious, they’re adorable too! Oh my gosh this is such a great idea! Im going to have to do this, I can just see my husbands face! Oh yum yum! That’s the best looking thing I’ve seen all day! Pinning to share for sure!! Oh what a super tasty bite! There is certainly something about bacon isn’t there…..yum!!!! 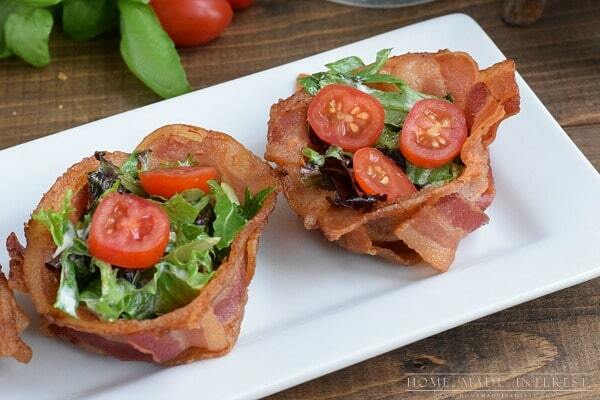 Bacon Salad Cups say what?!? These look SO good! Thanks for showing me how to make the cups too! I would so eat like eight of these! 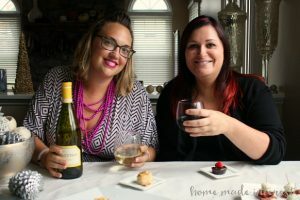 They are just as cute as I’m sure they are yummy, perfect for a party! Your bacon cups look so good! Thanks for sharing! Pinned!!! Um…YUM! I have to say though, I have tried so many “breakfast muffins” that have bacon as the “cup” that never cooked right…flipping over the muffin tin…GENIUS!! 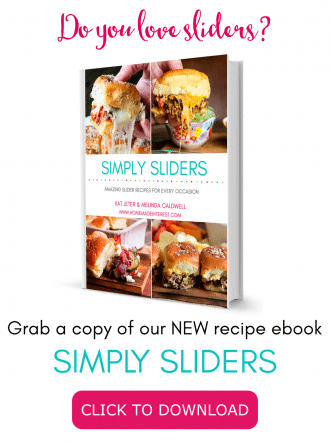 These look great – I love it.! They are pretty awesome ;). I’ve never had a problem with them sticking. I let them cool completely and then kind of twist them back and forth like I’m taking off a lid and they just pop right off. I would think you could fry up some hashbrowns and scrambled some eggs. Put them in the baking cups with a little cheese sprinkled on top and serve them for breakfast. I’m sorry you had trouble with it. I didn’t have any problems with sticking but if you try again you could spray the muffin tin first.